I’m not sure about where you live, but where I live, very few French movies (with English subtitles) are shown. I can get my “fix” when the International Film Festival comes to Toronto but that only happens for 2 weeks every September. 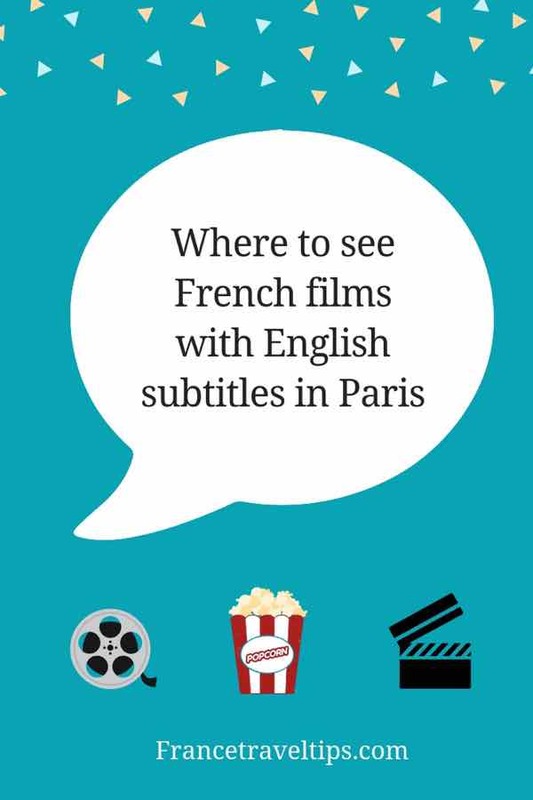 What if you’re in the mood to see some good French films with English subtitles in Paris? Yes, they exist! 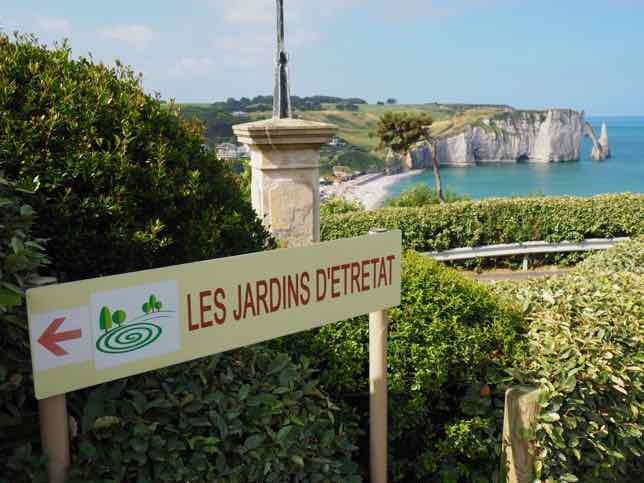 An organization called, “Lost In Frenchlation” holds special evenings where French films with English subtitles are shown. I attended Comedy Night when I was last in Paris and it was a really enjoyable evening with more than just “watching a movie”. There was stand up comedy and cocktails too! What I particularly like is that you didn’t just go to see a movie, there is a pre-movie get-together with cocktails and at the event I went to, Comedy Night, there were also two stand-up comedians to entertain us before the movie (a comedy, of course) began. 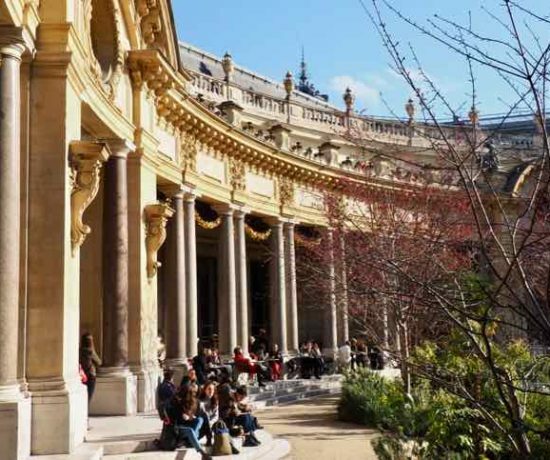 This is a great outing if you want to do something a little different and mix with an international crowd while you are visiting Paris. The movie that I went to see was at the cozy Club de l’Etoile. Two stand-up comedians performed before the movie began. 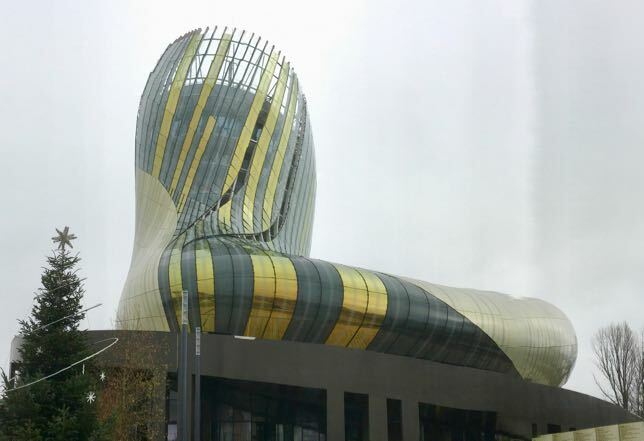 It began with Julie Collas who has a one-woman show in Paris called, “Oh my god, she’s Parisian”. Former lawyer turned comedian/actress, Collas gives the audience her take on Parisian myths and clichés, particularly from the woman’s point of view. It is much like the show I went to a few years ago called, “How To Become A Parisian In One Hour”. I’ll be honest, I didn’t laugh as much during Julie’s short time on stage and I think that was the problem. 15 minutes doesn’t do her justice, yet it was nice that she was included in the evening. I would like to take in her show the next time I’m in Paris. Julie Collas’ act was followed by Krishna Bagadiya who is an Indian actor-comedian-director and I quite enjoyed his humorous observations of Paris life. He recently had a show entitled, “I don’t sell flowers”. The theatre at Club de l’Etoile is intimate. That’s not to say it was cramped. On the contrary. 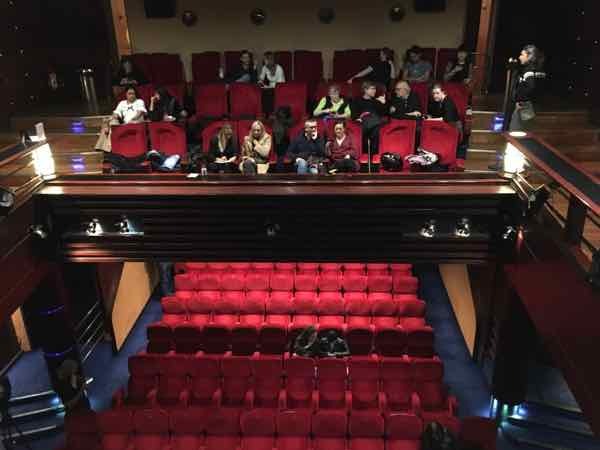 It’s a small theatre with red plush seating–a nice change from the large theatres in North America and perfect to see this movie, “Le Poulain”, which means protégé. Rhe English title was “We Need Your Vote”. It was a relatively new release having only opened the month before. It stars Alexandra Lamy and Finnegan Oldfield, who plays Arnaud Jaurès, a 25-year-old who enters the world of politics as the assistant to the Director of Communications for a French presidential candidate. The movie was okay, but not Academy Award material. I think what I liked the best was that certain scenes were filmed in Paris. That and the references to Canada. In the past, Lost In Frenchlation has held events for many interesting movies and the one I wish I had seen was “Un peuple et son roi” (One Nation, One King)—about the French Revolution. Upcoming events in December include “Un Amour Impossible” (An Impossible Love) about a mother’s unconditional love for her child through 50+ years while in a relationship with an abusive and manipulative man. It is based on the autobiographical book by French writer Christine Angot and looks to be really good. 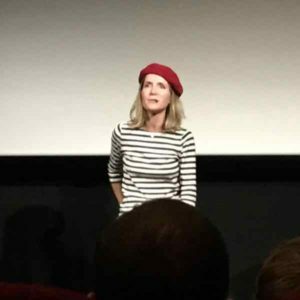 The movie is to be followed by a Q and A with the director, Catherine Corsini. 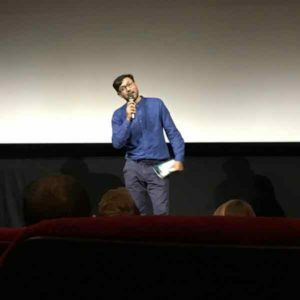 If you’re in Paris and looking for a little (English) entertainment, definitely consider seeing a movie hosted by Lost In Frenchlation. 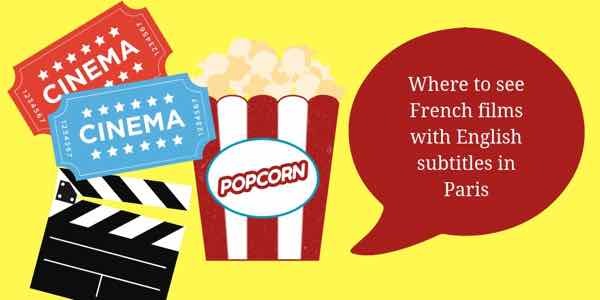 You’ll get your fix of some French films with English subtitles and meet others who love French cinema as well. Many thanks to Manon Kerjean for inviting me to the Comedy Night screening. As always, all opinions are my own. Whoever came up with the name Lost in Frenchlation was a genius! I could have used a place like this when I lived in French-speaking Switzerland. It was rare that we had films in English there.